A picture holds a thousand words. Graphic novels are stories in comic strip format presented as a novel. They essentially are a representation of the author’s opinions and ideas, twisting the real with the surreal, throwing up worlds of existential thought and fantasy to muddle your thought processes – through pictures and words. Combining a good plotline with gripping artwork to please the peanut crunching, intellect-hungry crowd is no mean task! Here is a list of what I think are the 10 graphic novels one must read and inspire oneself with – a blend of the East and West, along with a few of our local comic heroes. A combined effort by writer Alan Moore, artist Dave Gibbons, and colourist John Higgins; this novel follows the tale of costumed vigilantes Ozymandias, the Silk Spectre, Doctor Manhattan, Nite Owl, and Rorschach. Government-sanctioned superheroes were the order of the day till the Keene Act in 1977 banned the profession. Rorschach probes into the murder of a famous ex-vigilante and gets himself caught up in a plot where superheroes are being assassinated one after the other. He contacts his comrades from his earlier active days to get to the root of the matter and soon unravels a complicated series of events involving the country in war and human lives. 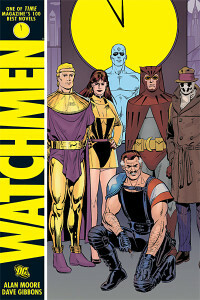 Presented in a fixed 9-panel format, Watchmen has been recommended as one of the best selling graphic novels there is. It even has a movie based on its dark and compelling storyline. 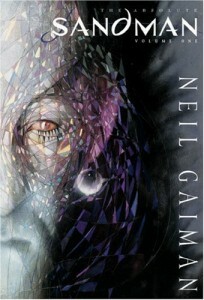 Neil Gaiman uses the familiar idea of the Sandman that we all loved to think of as harbingers of dreams to create a tale of dark fantasy loaded with intellect. Dream, the protagonist, escapes from an imprisonment lasting 70 long years to rebuild his Kingdom. The protagonist evolves over the course of the comic, turning into a tragic hero while he fights against his past and forges a new self. A fantastical setting with threads running through the course of ten volumes, touching upon characters previously introduced and opening up new personas- this is a highly artistic work, both in terms of graphics and plotlines. Collaborations with a number of artists enhance its uniqueness. Don’t we all know how this superhero on screen makes girls squeal and fans buy Batman T-shirts en-masse? Even back in the old days, this savior cloaked in the dark created the same ripples. Batman, along with Robin, his butler and other side-kicks, fights villains like the Joker and Poison Ivy, who threaten the integrity of Gotham City. 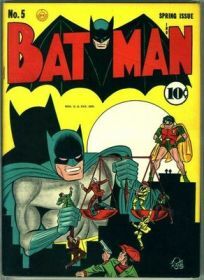 Created by artist Bob Kane and writer Bill Finger, this series spawned numerous film adaptations with our hero being portrayed by an endless list of famous actors. Unlike Superman, the characters dwell in a relatively realistic world, with Batman having no superhuman abilities. Everyone loved the concept of a superhero as human as they were – hence pushing up the popularity of this series skywards. 2014 will celebrate the 75th anniversary of Batman, another milestone in graphic novel history. New releases continue to make sure that the flame never dies. Ever heard of graphic novels being praised in the academic world, given a status at par with the likes of Robert Frost and Tennessee Williams? 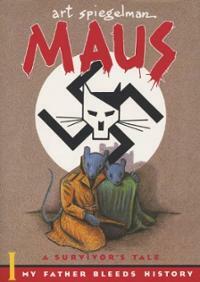 Well, Maus is your answer – the first graphic novel to win the Pulitzer Prize. Created by Art Spiegelman, this graphic novel uses a mix of biography-like approaches to describe the plight of the sufferers of the Holocaust. Spiegelman interviews his father in the course of the novel as he is a Polish Jew and Holocaust survivor, depicting people as rats, pigs and other common animals. This book represented a metamorphosis of trending thoughts and topics at the time. Comic books were popularly used by huge publishing houses like Marvel and D.C to focus on superheroes and alternate realities but this groundbreaking work shifted the focus to deeper, weightier subjects. Maus deals with the Holocaust in a manner that epitomizes his talent. One of the older manga comics that gained popularity, Keiji Nakazawa’s 10-volume series is a reflection of his own past. 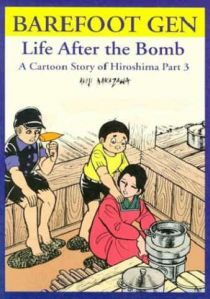 A survivor of the Hiroshima bombings, Nakazawa paints a graphic picture of the terrorizing attack on Japan through young and growing characters and their families. It holds the Japanese government as equally responsible, perhaps even more so, than their American counterparts for the attacks. The art work is direct, bordering on homely, but gets the message across. Art Spiegelman provided the foreword for one of versions of this novel. Along with Maus, this graphic novel is a must-read as it connects more people to the history of world conflict. One of the few manga comics to be considered as classics, this series is one of the most recommended ones by hard-core followers of this particular form of graphic novels. Katsuhiro Otomo uses brilliant art to bring out the basest of human traits in a post-apocalyptic setting. The titular character displays the erasure of one’s personality due to the gain of power and authority- something seen extensively in today’s world. Even though people possess super-human abilities, the focus of the series is more on the effects society has on an individual and his personality. Bravely incorporating a third World War and a nuclear bombing, the author makes full use of the sci-fi genre by extending it beyond its definition. 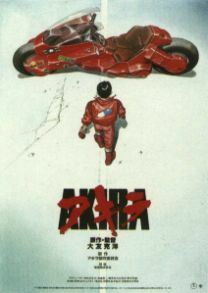 Akira won the 1984 Kodansha Manga Award for best general manga. 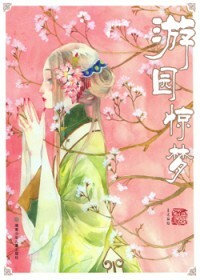 Xia Da’s graphic novel (manhua) is almost like a song, striking the sweetest chords in the one who comes across it. Peony Pavilion incorporates five Chinese mythological tales to create a beautiful poem with very few words. Her delicate art creates an illusion of being held down by the mere weight of paint. Her stories deal with characters in a historical setting, some entangled with spirits and fleeting moments to be cherished forever. Its style is comparable to Oscar Wilde’s idea of art for art’s sake. Breaking away from social issues and dark grounded realities, Peony Pavilion is purely an aesthetic and emotional experience to be enjoyed as it is presented. Indian graphic novelists are usually lurking beneath the dark waters, hidden and unheard of. 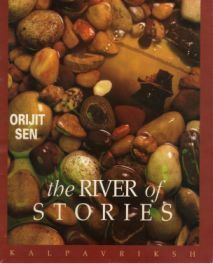 Orijit Sen was the first graphic novelist hailing from the Indian Subcontinent. Not many seem to know about him, but the ripples he created with his work, River of Stories, cannot be underestimated. This novel deals with the issues surrounding the Narmada dam construction. It weaves into its short span a consideration of the socio-political and environmental questions which were raised during the controversial construction. Real, live social issues along with traditional elements and appealing art make this an impactful read. 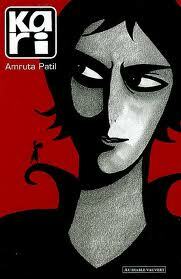 India’s first woman graphic novelist, Amruta Patil, weaves a bumpy ride with a lesbian protagonist called Kari. The city’s dark underbelly is unclogged at night by Kari a.k.a. Danger Chhori; the vigilante who survives with the expected dual life that comes free with vigilantism. Focusing on duality and the bridge between two faces of everything, this novel promises to be multidimensional and deep. It breaks boundaries and rejects the typical Indian mentality. A quirky fact which an observant reader will notice is that none of the characters look you in the eye – could it be a subliminal message in a vivid, loud and vibrant graphic work? Imagine a middle-class Marathi woman, draped in a sari, wielding guns and armed with Marathi expletives? Certainly doesn’t bring an image of a deep read, but it is one of the most recent and entertaining graphic novels created by Indian author Abhijeet Kini. Angry Maushi fights against the rotten system in a direct and action packed manner. Those who have been comic addicts since childhood would have come across Butterfingers from Tinkle by the same author. Kini uses his familiar cartoonish style and caricatures a regular bunch of people into humorous, quirky characters. Albeit coarse and without even the slightest tinge of sophistication, this graphic novel is a reflection of the blunt and frank behaviour we see out on the streets of Mumbai. Check out Comic Con India , where you can interact with the graphic novel and comic fandom in India. It was created by a group of young people in Delhi and has now grown to multiple events across the country. Indian comics publishers Diamond Comics (creators of Chacha Chaudhary and Billoo) and Amar Chitra Katha have been favourites with children for years. Meanwhile, new publishers, such as Campfire Comics and Graphic India (creators of Shekhar Kapur’s Devi comic series) have started catering to adult and teenage fans of graphic novels. Independent niche publishers such as Manta Ray are also making their mark. And if you want to create your own graphic content, take a look at Tapastic ! Have read Sandman & Maus…both are too good….Came across one “Blankets”(http://en.wikipedia.org/wiki/Blankets_(comics))….It’s really captivating too! Thanks! Great to see graphic novel lovers here. Good list. Have read Watchmen and Maus. Maus is amazing and moving! Watchmen is pretty good too, but not for beginners. Thanks, I had a limit of ten and had to include titles from across a wide spectrum, may have missed out on a few brilliant ones. It has a deep impact and remained in my memory long after I read it, one of my favourites too! Sorry for the late reply! I’d be happy to suggest some good manga!